We cannot show the item as a gift, as second hand or at a lower price. The Order reference number. Great games but down loading content takes ages. On the good side, the picture quality is great in both games, the infinite warfare is like call of duty joins up with Halo 4 and IRobot. They did not spoil it with to many gadgets which makes it a great game but there are times when knowing where to go next is as clear as mud, which results in getting killed a lot. 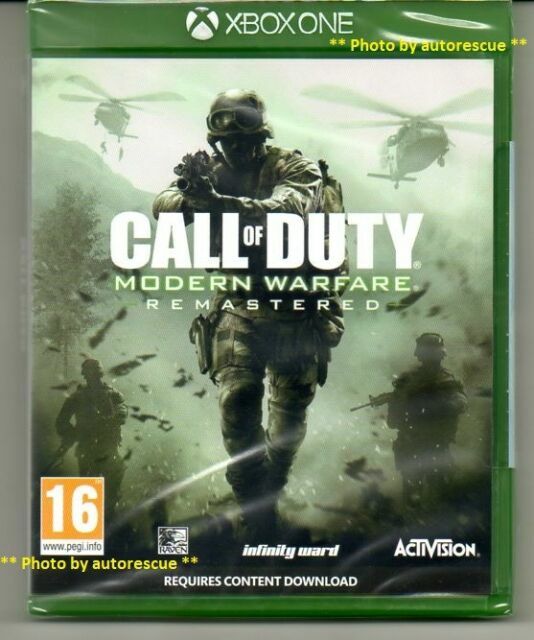 Modern warfare 4 remastered has lots of added on action and better picture which makes it even better to play and its still one of the best call of duty ever made. The only bad thing is how long it takes to download the needed content, at least six hours for me without playing any games while I did it. Revisiting a classic cod. Played it 10 years ago. Still good and knocks spots off the newer ones! Was a great game on xbox360 but now even better on Xbox one.